03/20/15 – Update v4.2 Joints, Physics, & Game Master! This update gives you more control to really let your creative juices flow. You can make things like spinners, moving cars, cranks, and whatever you can possibly think of! You can also control the physics of items and really bring things to life. Have fun with it! Our official forums are back online and we’d love to have you join our community. This is where to go to post your suggestions, get help with any issues, or create and join any discussions. Hope to see you there! 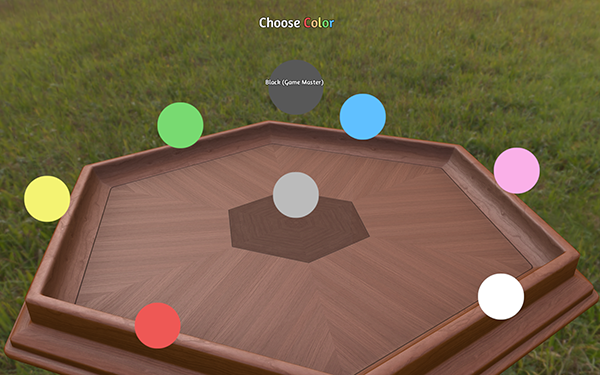 There are just 2 days left to get Tabletop Simulator for 30% off! Sale ends on Sunday March 22nd at 10am PST. Connection issues are being investigated and we are looking into other solutions to fix this problem. New joint tool has been added that allows you to connect objects together (Create spinners, motors, or just stick pieces together). 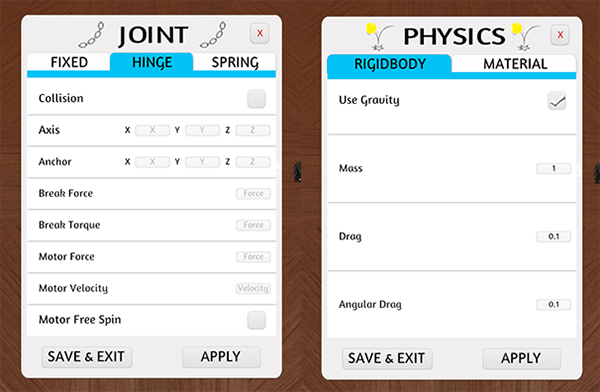 You can create a joint by selecting the joint tool on the left hand side of the screen. Using the joint tool drawing a line connecting two objects to create the joint. Right clicking on the original object, then choosing Joint will allow you to tweak the properties (currently host only). There are 3 joints: Fixed, Hinge, and Spring. Each have their own properties you can tweak. Mousing over each property will give a brief description. You can now modify the physics properties of objects in the game by right clicking, then choosing Physics (currently host only). The physics menu allows modification of the rigidbody and physics material properties of an object. Some physics properties are: Mass, Drag, Gravity, Friction, Bounciness, etc. New black color that functions as an all seeing game master. The game master can see all hidden information; either hidden areas or card hands. Great for pen and paper rpgs or if needing someone to manage the table. Game Master’s names will not take up a spot on the table, but they can use any hand or hidden area to hide information. Only the host can choose game master or promote someone to game master. You can now rotate the alt zoom view of objects using ALT + Q or E (Perfect for sideways cards if not configured correctly). Hover highlighting is now white and yellow to improve readability for certain colors. Destroyable property has been renamed to ‘persistent’ to make its functionality more clear. Optimized code for clients connected to the host. Contextual menu will now always work if the object is being highlighted when mousing over. Fixed players joining the game causing the notepad to reset to blank. Fixed the rules menu allowing non-promoted players the ability to load saves files. Fixed ‘hide pointers’ not working for hidden areas. 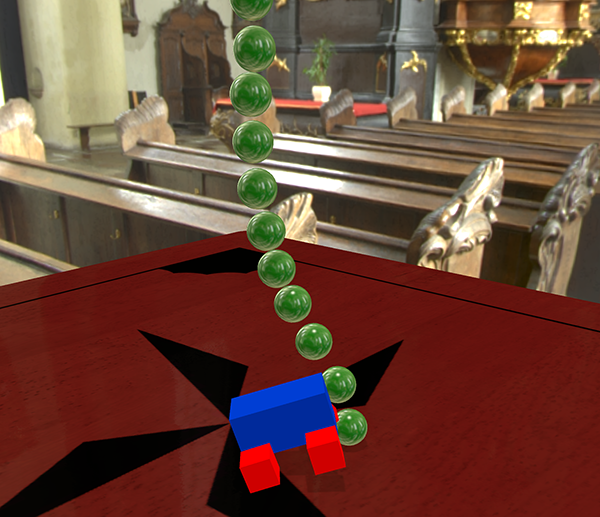 Fixed bouncy setting in physics material being reset incorrectly. Fixed controller zoom in and out causing objects to rotate.